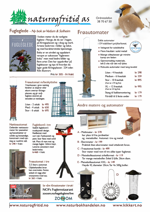 Fotos - illustrasjoner strektegn., fig. Boka er utviklet av felt og museum ornitologer. Developed by a team of field and museum ornithologists, this book is the first up-to-date comprehensive presentation of a large number of different measurements that can be taken on birds: easy to use and with detailed illustrations this handy volume offers concise instructions and recommendations on how to measure birds. Problems with particular measuring techniques are discussed, as well as accuracy, reliability and comparability of measurements, the numbering of flight feathers, skull ossification, measuring tools and weight. A comprehensive list of references rounds off this useful book. Printed on durable water resistant plastic and with a convenient spiral binding, this manual has been explicitly designed for use in the field and for taxidermy. An absolute must for bird ringers, museum curators, taxidermists and everyone concerned with morphometry.